SHGCw is the whole window solar heat gain coefficient. Percentage improvement figures are compared with using base-case Generic Window 1 (3mm clear in standard aluminium frame). A negative percentage improvement figure indicates performance worse than the base-case window. A positive percentage improvement figure indicates performance better than the base-case window. Maximum air infiltration is 5.0L/s.m2 at a positive pressure difference of 75 Pa as measured according to AS 2047. Static performance (Uw SHGCw Tvw Tdw) calculated using Window 5.2 and Therm 5.2 software (LBNL), 2000-2003. 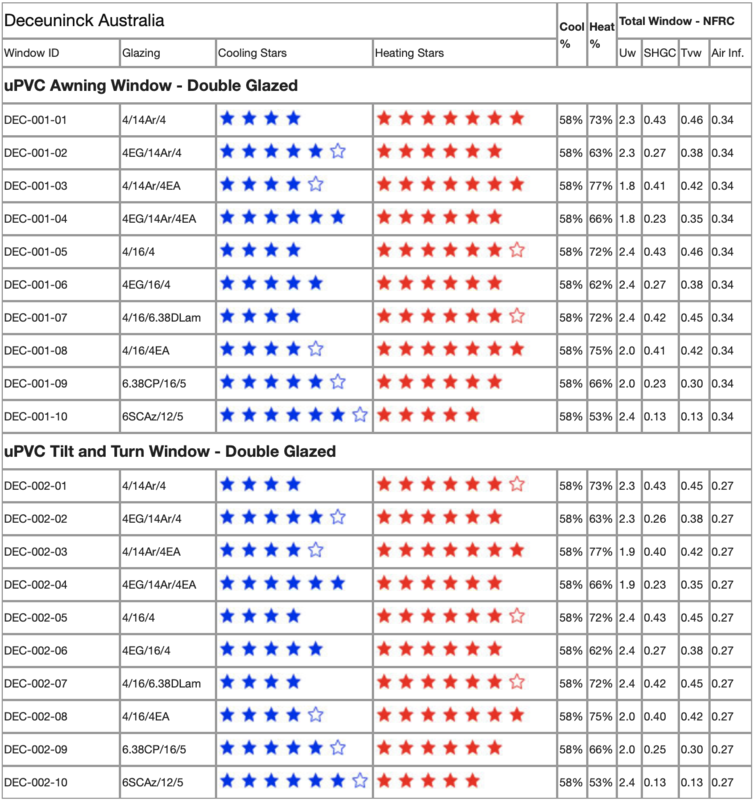 Annual energy performance (stars and % improvements) calculated using Nationwide House Energy Rating Software (AccuRate) according to procedures of WERS 2008. Results disclosed at National Fenestration Rating Council (NFRC) regulations.